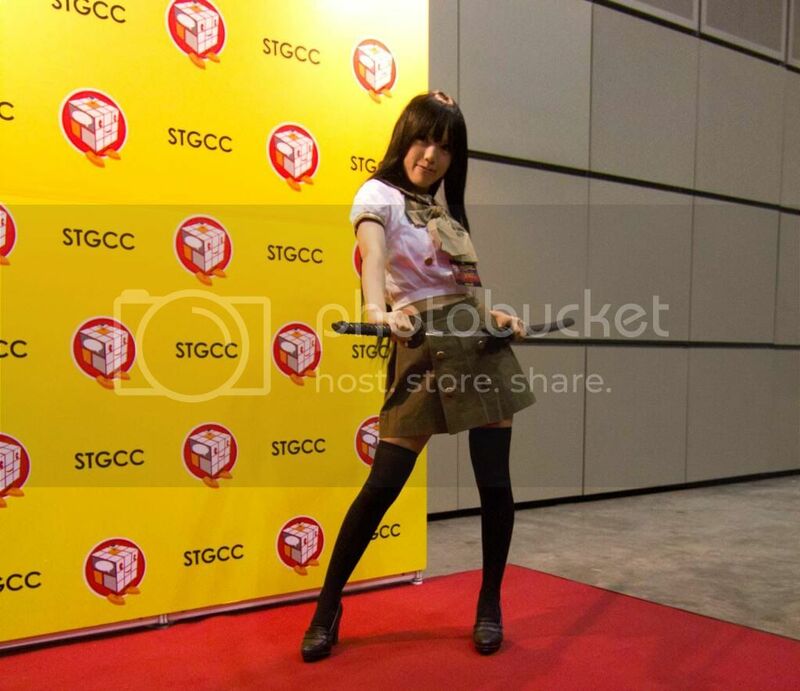 Kipi Cosplay Diva At The STGCC! - Samurai School Girl! One of the reasons we attend conventions like STGCC is for the chance to meet great artists and celebrities in the field that interests us most. I'm lucky to say that I've already seen the cosplay diva Kipi herself posing for pics with fans at the walk of fame hall. I haven't actually watched any animes as of late so I have to apologize that I don't recognize the character she's cosplaying. But it still rocks my socks off. The school girl with a samurai sword will get my vote any day! You can see the whole image after the break if you're into school girl uniforms and what not.